Big Sky Basketball: Where Will Sacramento State Get Bench Production? If you have been reading this blog lately, you know I think that Sacramento State has the potential to have their best team in quite some time. Their starting lineup has a legitimate claim to be one of the top three best lineups in the conference. However, the problem comes when they have to go to their bench... where will they get production? In the backcourt, their best reserve could be Mikh McKinney, a junior college transfer (with three years of eligibility left). He is a combo guard capable of backing up Dylan Garrity and Jackson Carbajal. Last year, he averaged 14 points, 3.5 rebounds, and 3.8 assists per game. I expect he should get the first chance at being a key performer off the bench. 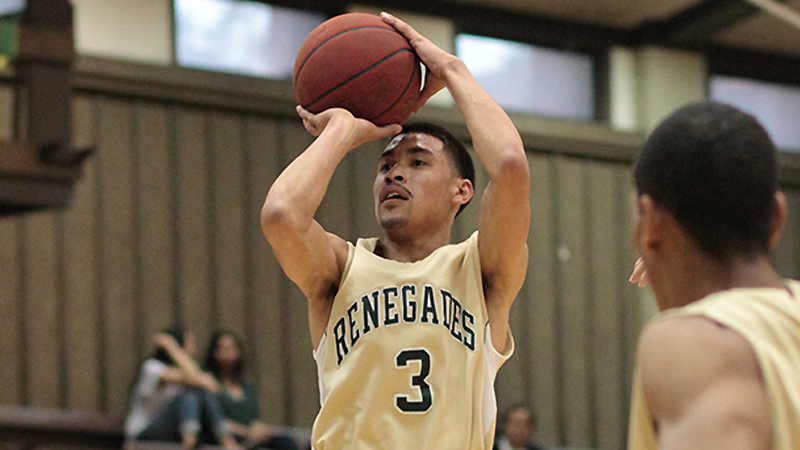 There are three returning players in the backcourt - Jordan Estrada, Julian Demalleville, and Kendall Groom. Despite all the experience, all of them have been a bit underwhelming in their careers, and it seems like the newcomers will have all the chances they want to carve out a role. Cody Demps could be an interesting guy to watch, as he is extremely versatile at 6'4'', and Katz says he can play three spots. He could be a little raw, but he has the talent. Dreon Bartlett is also on the roster, but he seems like a prime redshirt candidate. The frontcourt also has a lot of guys that could play, but not a lot of clarity, as three newcomers will likely be competing for most of the run. None of the three posted really impressive stat lines in junior college, but all bring different skill sets. Ryan Okwudibonye is the most traditional of the big men, and can play the three or four. He is not a strong offensive player, with just 4.6 points per game on 44% shooting, but could bring a defensive and rebounding presence. Joey Quigley is a bit more skilled, and projects as more of a stretch four. He can handle the ball a bit more, and is a solid passer. Jordan Salley has good athleticism, but may struggle to produce consistently. He will be a backup at the four as well. The Hornets need at least two or three of the newcomers to become consistent producers, and guys they can count on in the second unit. If they do, the Hornets will make the conference tournament. If they can't find that productivity, it could be another year watching the tournament from home. Dreon Barlett. No “t”. I made that mistake myself quite a bit. Our recruiting has improved over the past couple of years. I’m hopeful the bench players can step up and deliver when need be.